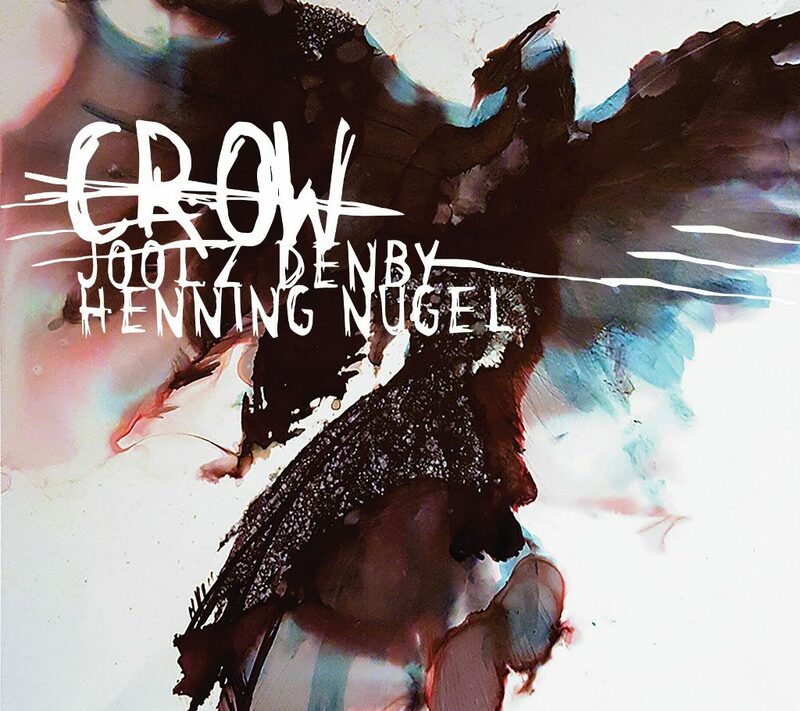 Attack Attack Records releases “Crow”, a unique collaboration between poet Joolz Denby and composer Henning Nugel. Joolz Denby has been a true underground renaissance artist since the late 1970s. As a poet, she was one of the principle figures to emerge from the post-punk generation, publishing seven collections of work and giving readings all over the World in countless different settings. As a novelist, she has published six volumes, including “Stone Baby” for which she received the New Crime-writer of the Year award in 2000 and “Billie Morgan”, which was shortlisted for the Orange Prize for Literature in 2006. As a working artist, Joolz has designed all the record covers and visuals for the band New Model Army for 36 years (as well as being a guiding hand throughout their long career). Her paintings have been shown in many galleries while her unique tattoos have adorned clients from around the globe who come to her Bradford studio. Crow will be her seventh studio album, with past collaborators including Jah Wobble, members of New Model Army, Mik Davis and many others. The Poetry on Crow can be read here. Henning Nugel was born in Dortmund, Germany. After years of playing keyboards and guitars in several bands, he joined forces with his brother Ingo and founded Nugel Bros. Music. Focusing on music composition and sound design for games, their portfolio soon included clients as EA Games, Funatics and Blue Byte. Henning is also a member of the Dynamedion team of composers and has written music for many of their prestigious game projects and some of their TV scores. Henning can at times be seen playing fiddle and whistles together with acoustic folk band An-Spiorad. He recently did several string arrangements for Monster Jaw and New Model Army’s new album “Winter”and now works from his studio on the outskirts of Potsdam near Berlin. *How did it all start? Joolz: I got an email from a German guy called Henning who I didn’t know, about setting one of my poems to music. To be honest I get a lot of emails about things like this and some are, er, very odd, so I was in no hurry to reply. However the email was extremely nice and polite so I checked Henning out – the power of Google – and he was obviously highly qualified and talented. Genuine, in fact. I got Mik Davis to record a vocal and send it over. I was – I think we all were – amazed at the result. I took a chance and asked if he’d like to do more and we ended up with an album. He’s a brilliant musician. It’s like listening to a full-blown high budget film – the hairs come up on the back of your neck. I couldn’t be more thrilled. Henning: In a way it started 25 years ago when I saw Joolz perform at a New Model Army concert. Right the next day I bought “Weird Sister” and since then I have collected her poetry books, novels and albums. So I really am a fan of her work. This includes her artwork, which never ceases to impress me. Two years ago I wrote some music for a TV series pitch, which was turned down by the producers. I was reluctant to put it on the shelf and was wondering if Joolz perhaps could make use of it. I wrote her an e-mail and she soon afterwards sent me a poem which might fit the music. So this was the track that eventually became Narcotika. She was really taken by the result and asked me if I would like to do an album. And it all went on from there. It’s actually been a dream come true for me. *How did you two work together? Joolz: Well, it’s the power of technology and the Internet. We’ve never met or even spoken. We write to each other, it’s very old school. Mik records and sends the vocal tracks and Henning does his magic. It’s worked really well and it suited us because we all have demanding jobs too – it meant we could all work at convenient times, no rush, no stress. I think it shows in the richness and depth of the tracks – lmost a Renaissance feel – artists taking their time not constrained or bullied by corporate financial interests. No record company breathing down your neck trying to make you do stuff you don’t want to. True art really. Henning: Mik Davis who had written and produced the music for the previous Joolz album was very kind and super helpful. He recorded Joolz’ vocal performances in his studio in Bradford and sent me the voice recordings. I usually listened to the tracks quite a few times to get a feel for the inherent rhythm of each performance. There was no click track but Joolz is such a remarkable performer that she actually has a kind of rhythmic pulse while reading her poems. You just have to listen and discover it. Most of the time I would let the poems lie for a couple of days and let them sink in. I generally come up with ideas for music when outside for a walk or a jog and I like to shift them back and forth in my head. Then I get into my studio and grab a guitar, a bass or violin and start recording my ideas. *How did you produce the poetry? Joolz: I always have poems – I write poetry all the time – I just don’t publish much anymore and so people only tend to see my visual arts and forget I’m a working poet too. In this case I wanted to do a really music orientated album and use the shorter poems I was doing as social media poems – I’d write them and post them as images on Facebook etc. It’s a nice way to do it. Using social media for art. Anyway I also wanted to theme certain words to get a kind of chanting feeling, a repetitive hypnotic thing. I wanted people listening to feel immersed and spell bound. Almost so they felt as if they were waking from a dream when the album stops. The track ‘Fable’ is absolutely amazing in this regard. It should be played in the dark on headphones. Definitely. How did you produce the music? Henning: I think I nearly used every instrument that I have available in my studio. There’s my old grandfather’s violin, electric bass, acoustic and electric guitars. I even played an Irish bouzouki and some low whistles on the album. And I used a lot of synth and sample library stuff. After finding the right tempo and recording the basic music I cut up the vocals where I wanted to have pauses to give the music some room. After that I recorded all the rest of the respective musical elements. Did you have a musical concept for the whole album? Not at the beginning. As with all good things the album took its time and in the process of working on it the concept behind it evolved gradually. There are some little musical ideas that pop up here and there in different tracks, little motifs that connect certain poems. There’s this violin line at the beginning of Tree that you will also find as a main motif in Fable. Sky has basically the same chord progression as Tree as both of these poems share the same theme. I also used some sound design here and there, e.g. at the beginning of Angel (Part 2) to connect it to the end of the first instalment which was released on the previous album. If you listen closely you will find these little connecting bits and pieces scattered throughout the album. Now the album is finished how do you feel? Joolz: Very pleased. Very. Such a beautiful work – anyone would be pleased with it. And thankful to Henning for his brilliant music, to Mik for his patient recording of the vocals, to Wes Maebe for his mastering of the album and Justin for his organisational support and wealth of experience in these things. Even the cover art is special and technically out there and Alex Harrap and Modo did a great job on it. I’m genuinely proud to work with these men. This album is a work of art. Anyone listening to it and examining the cover art will know that. In these days of bland corporate art products, it stands out like a medieval reliquary – rich and strange. Just as it should be. Henning: I have to say I am extremely happy how it all turned out. This was a special project for me. It was practically the first time that I could write music without a deadline in the neck. I was free to do what I wanted to do and I could work on the music until I felt it was right. Joolz was so supportive and I am really grateful that she entrusted her poetry into my care. Mik did great recordings and also had some good suggestions. Justin kindly took over the responsibility and work of publishing the album and Wes Maebe did a great mastering job on my final mixes. It’s been an absolutely fantastic journey for me!